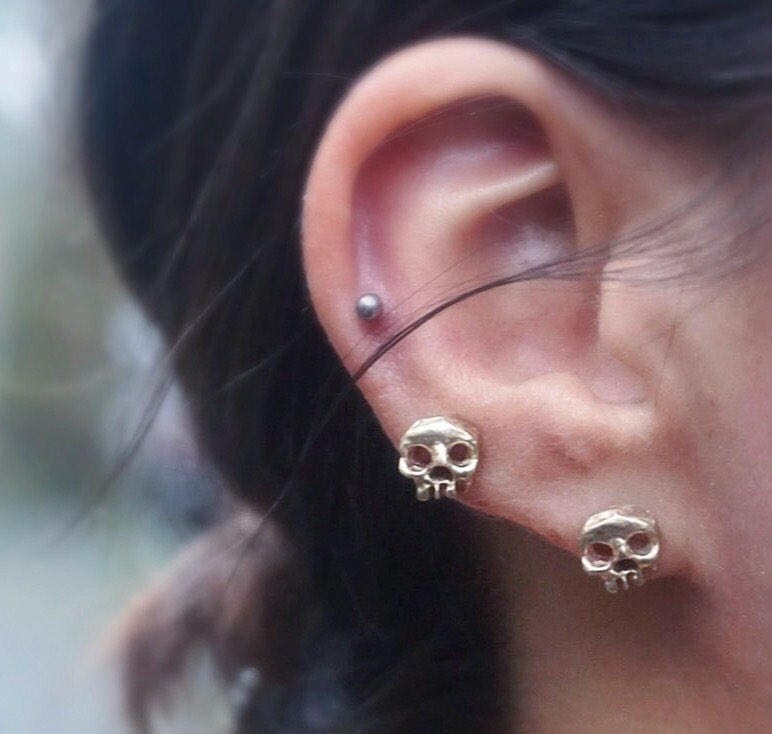 Work well in all lobe to lower helix piercings. 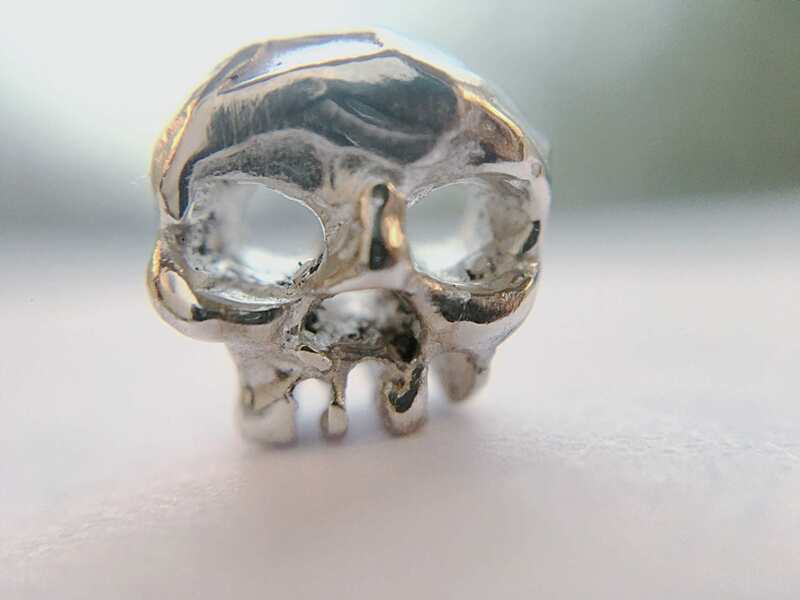 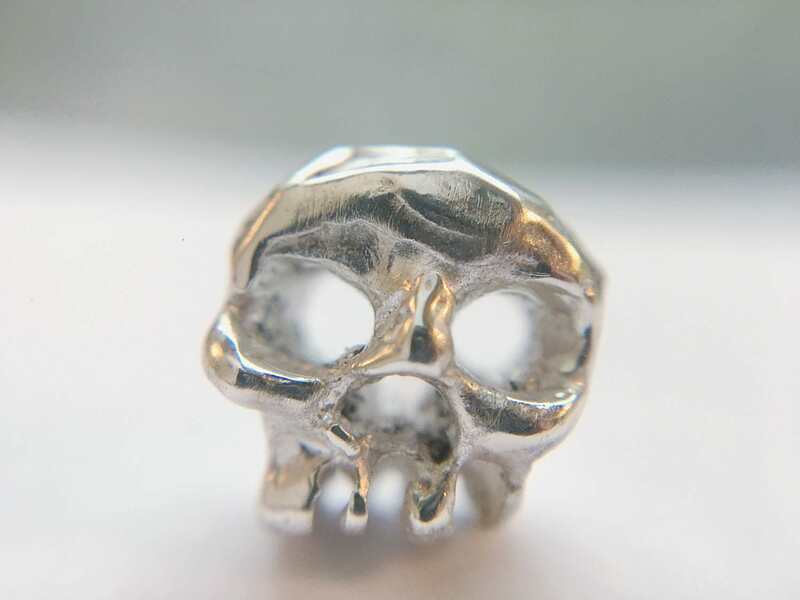 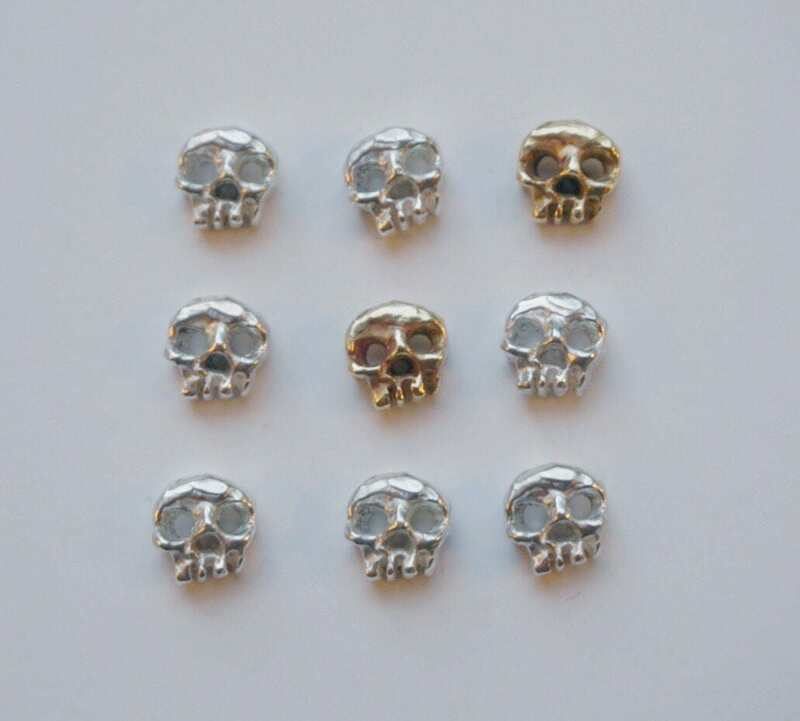 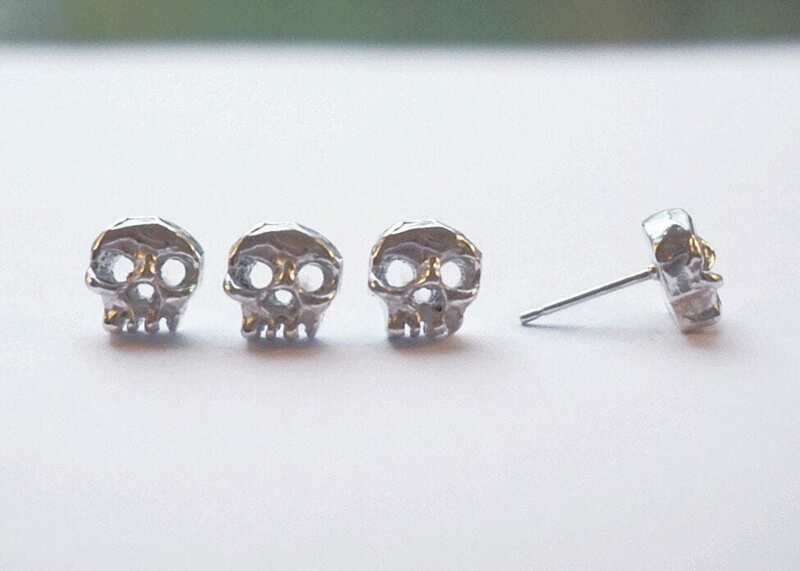 The skull was hand carved in wax and is then cast into metal. 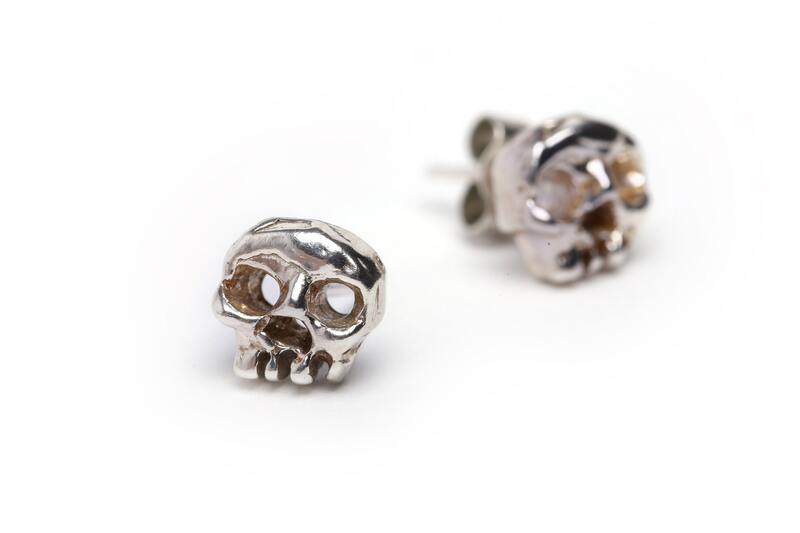 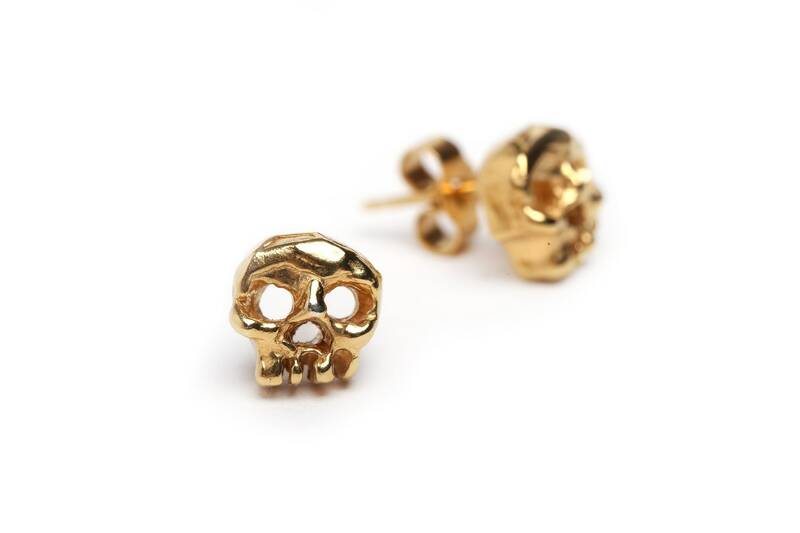 This is a pair in sterling silver but the studs are also available in 9ct yellow gold or 24ct gold plated.